Brakes. Everybody’s got them, and nobody wants to see them go out. And when you drive for a living, it’s even more vital to keep your brakes in line. Many drivers understand brake maintenance like the back of their hand, but plenty of others don’t—and that’s okay. At K&J, we’re focused on hiring good people, regardless of their training. For those of you who aren’t quite as up on brake maintenance (or if you’d just like a refresher course!) 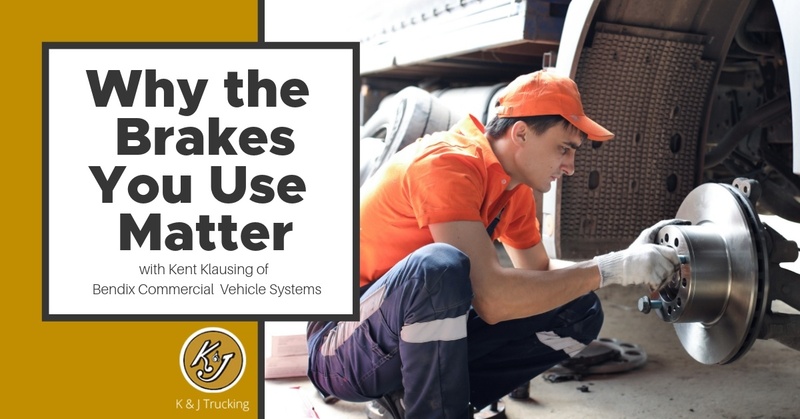 we spoke with Kent Klausing of Bendix Commercial Vehicle Systems, to get the lowdown on why the brakes you use matter. As a driver, you probably enjoy being on the road more than the average citizen. However, most of us also value our time at home! 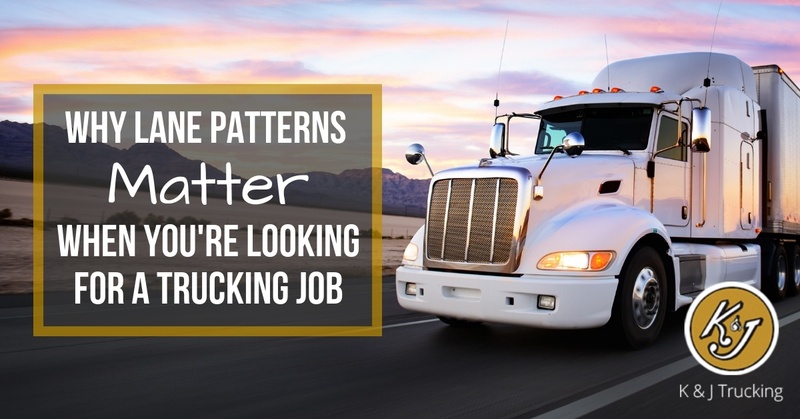 An unfortunate pattern that we've noticed is more and more companies hiring outside their lane patterns. We don't do this because we know that getting home regularly, while loaded if possible, is important. That is why it's vital to thoroughly understand a company's lane patterns before signing on with them. Unfortunately, many companies are willing to promise and never deliver. Before you commit you'll want to be sure to dig deeper. Here are a few tips we've picked up over the years. Unfortunately, many companies are willing to promise and never deliver. Before you commit you'll want to be sure to dig deeper. 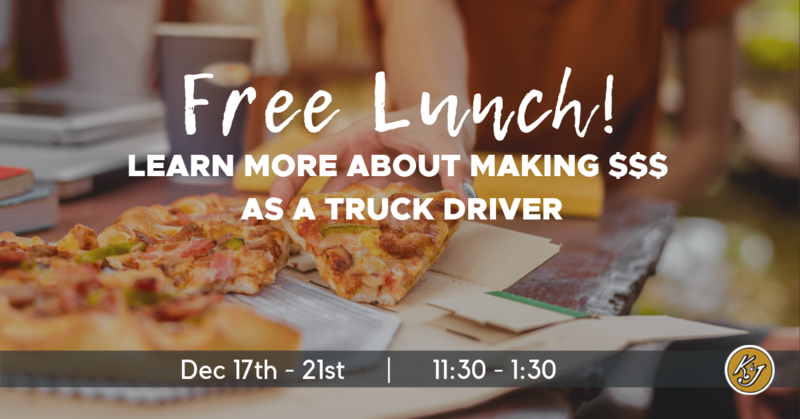 In an industry with extremely high turnover, we're proud of our driver retention rates. Over the last 20 years, we have consistently seen between 15.5 and 17.5 percent turnover, an incredibly low rate in this business. There are plenty of reasons behind our positive numbers, but there's one factor, in particular, that we believe contributes greatly to our success. 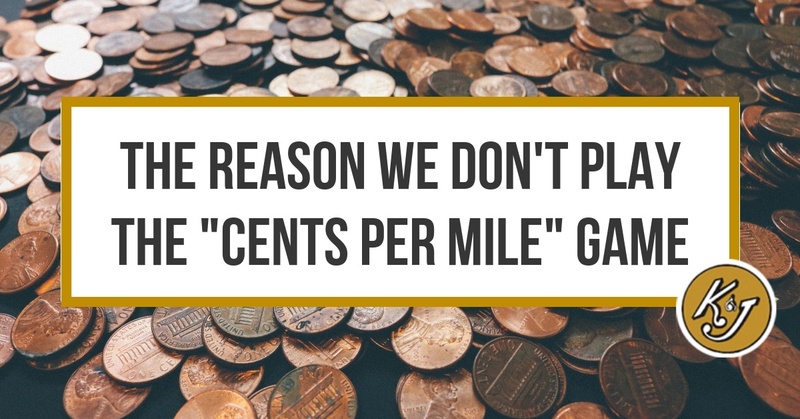 We refuse to play the "cents per mIle" game. We're starting something new around here, and we think you're going to like it. Rig Rant is a K&J-exclusive series where we hop in a truck and interview one of our awesome team members to hear more about life on the road and working with K&J. If you've ever trained a puppy, you know it's hard work. 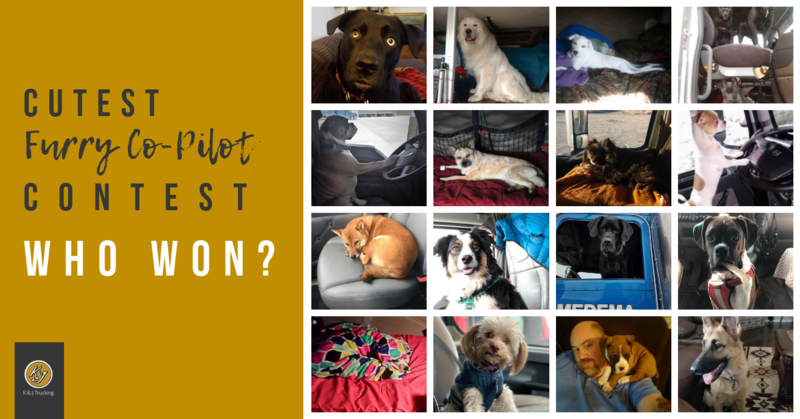 Now, imagine training a puppy on the road. 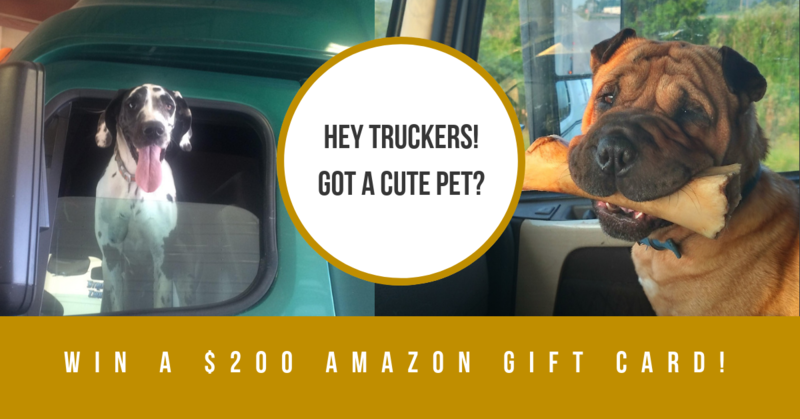 That's what K&J driver, Scott Margeson, did when he got his canine companion, Mika, three years ago. The last thing any of us want to read up on is tax codes. Complex jargon, statements and provisions that sound contradictory, and more math-related vocabulary than we'd like to see all year are just some of the unpleasant parts of studying tax code. 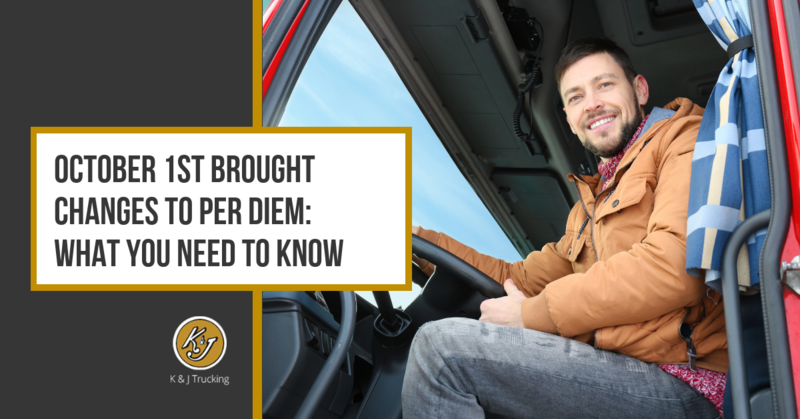 But since recent changes to trucker per diem rates were made effective on October 1st for the 2019 fiscal year we've done the heavy lifting for you, and we've outlined relevant updates below.